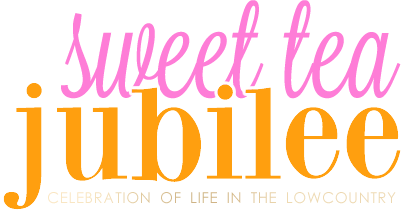 Sweet Tea Jubilee: Charleston Cooks! 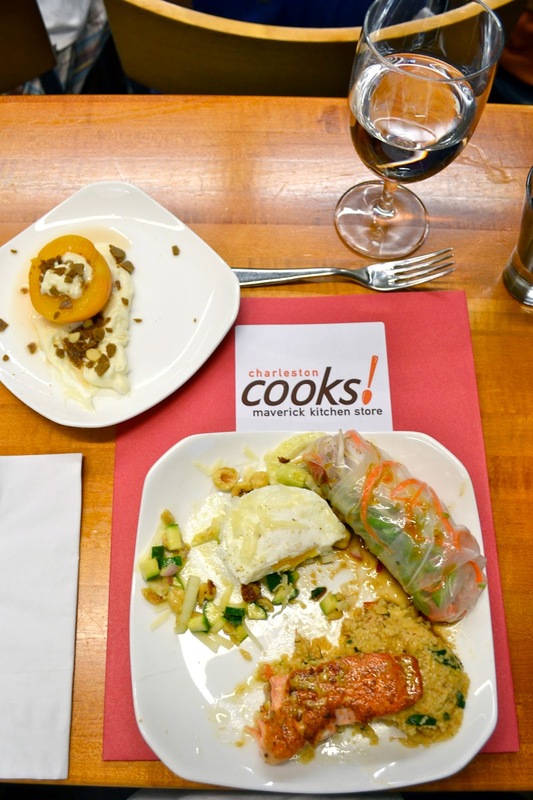 Last Friday, Robbie and I attended our first couples cooking class at Charleston Cooks. The theme was "Late Summer Date Night" and as soon as I saw the menu, I knew it would be a perfect date night activity for us to try! There were about 7 other couples there, and all of us worked different stations to prep different parts of the meal. We chose the raw tuna station and teamed up with another couple to create these Tuna and Wasabi Sesame Slaw Summer Rolls with Sweet Chile and Garlic Dipping Sauce. There were quite a few steps to this (cutting up the tuna, mixing up the wasabi sesame slaw, preparing the dipping sauce, and assembling the rolls which may have been the hardest part) so it worked well to have some teamwork! 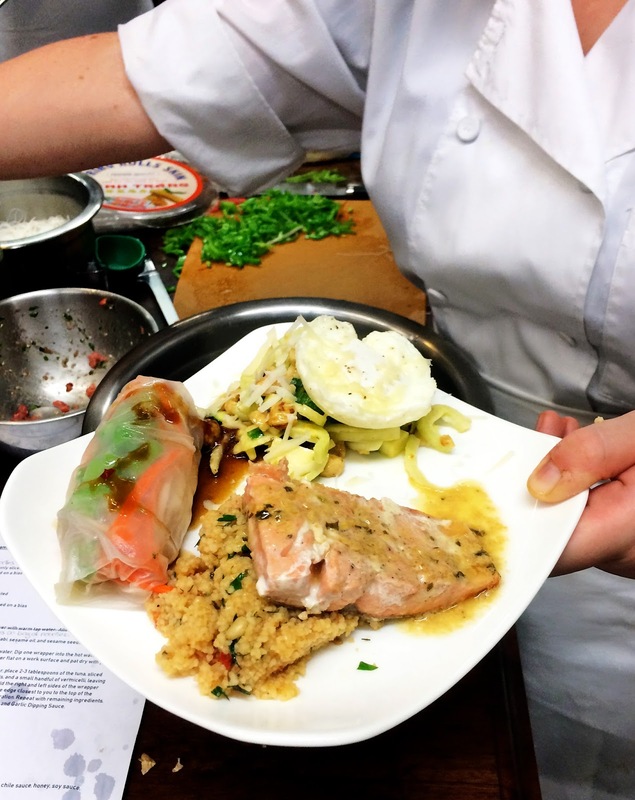 Everything was so delicious and it was a great reminder of how fun it can be to learn new skills in the kitchen! The cooking class took place in one of the classrooms in the Charleston Cooks store, which has all kinds of fun cooking gadgets. 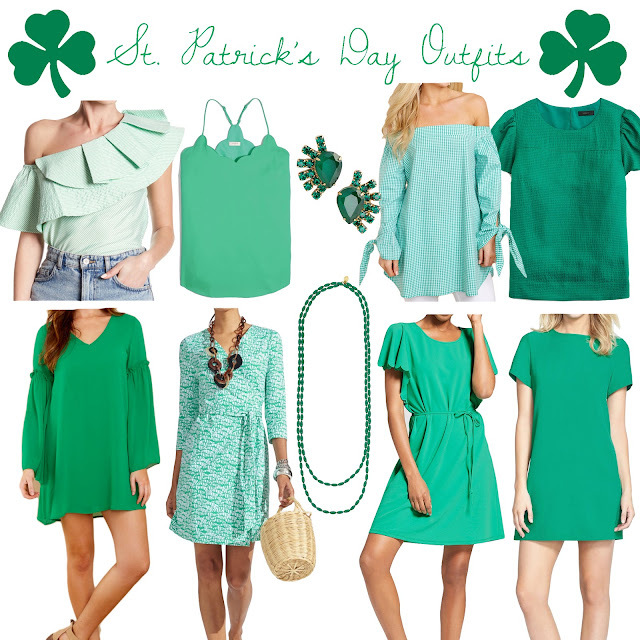 For anyone that loves to be in the kitchen like me, this store is a great place to shop! We were so inspired by the class that we continued to cook all weekend. Saturday morning we cooked a yummy brunch together, and then I made dinner Saturday night as well. Like I mentioned on Friday, it was really nice to have zero plans all weekend and since the weather was cloudy and rainy, we really enjoyed a relaxing weekend at home. And for dessert, I whipped up my very first peach cobbler which we enjoyed a la mode while watching Argo (side note- it is such a good movie!) and enjoying some quality time together! 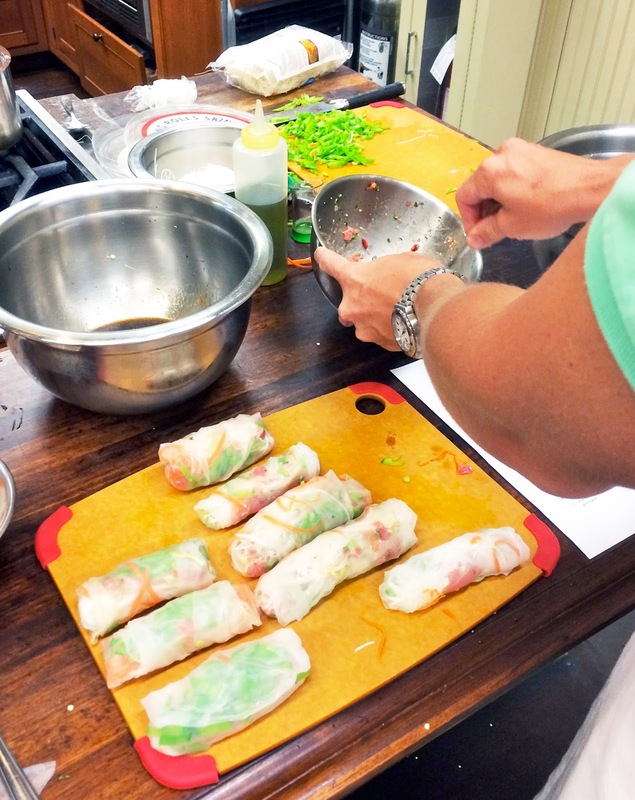 Have you ever been to a Charleston Cooks class or other cooking class? How did you like it? What are some of your favorite easy recipes to make at home? How fun!!! It looks delicious! Charleston cooks rocks we did a knife skills class and a pasta making class last year! It's so fun to try new recipes, and don't get me started on shopping for gadgets!! 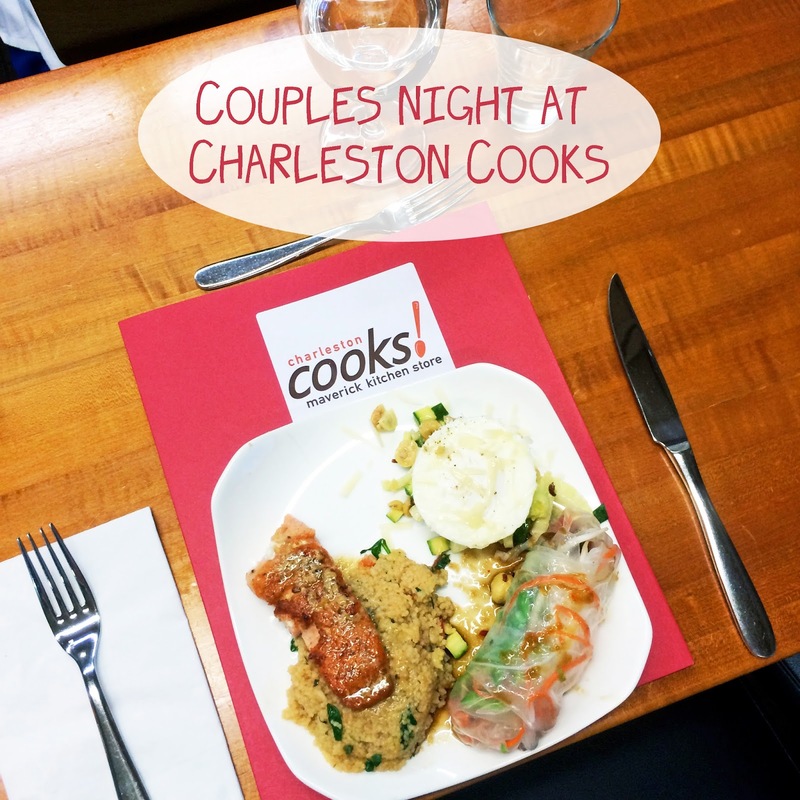 Charleston Cooks classes in Greenville were one of our favorite date nights when we lived there, so much fun! Everything looks delish!